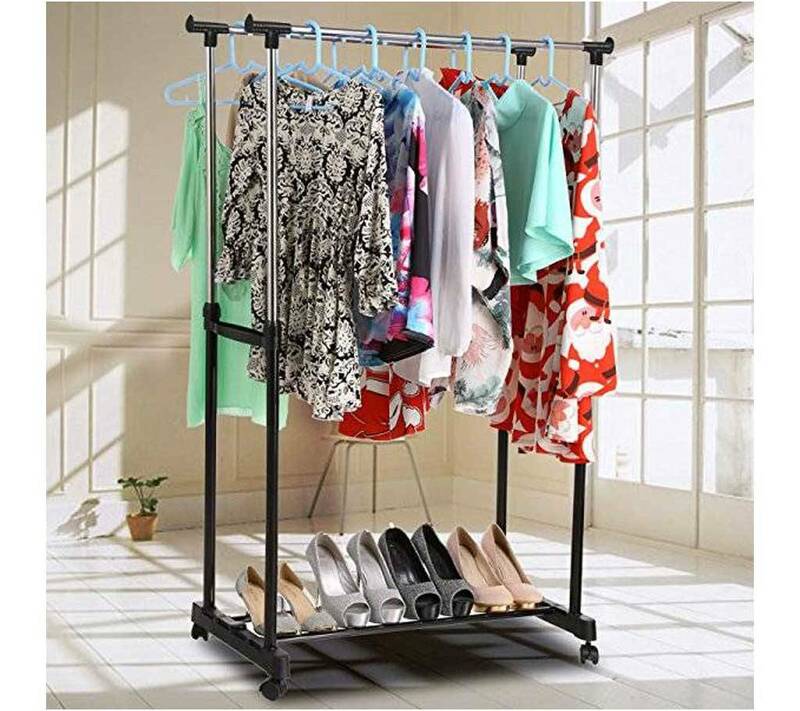 Two layer cloths hanging stand adjustable height foldable Stainless Steel Double-Pole Retractable Cloths Hanging Stand. Color :Silver and black Type : Hanging stand. Condition : New Capacity: You can grow up stick left and right site. You can collect the product from ajkerdeal.COM office. Home delivery is also available. You can pay online from your Debit/Credit card or Mobile payment (Through bKash, DBBL) and also you can pay cash to our office. Cash on Delivery is available. In case of delivery outside Dhaka, home delivery is available or customers may have to collect products from the nearby courier service office(for some specific areas). Inside or outside of Dhaka city, advance payment may be a requirement (Depends on Product and Delivery type). For Gadget items, color may not be ensured. Product delivery may be interrupted or delayed due to natural disaster or in case of political unrest. Color of the products may slightly vary due to photography, lighting sources or your monitor setting/ display resolution. Your booking does not always guarantee product delivery. Product delivery is entirely subjected to availability of stock. Stock is limited!